Carpet cleaning is something we all struggle with at one time or another. I thought I would round up my favorite tips and tricks for you today. Some of these will be using products you have around your home while others will be great products I have found to buy that work well. Give a few of them a try and see if you can get your carpet cleaner! Some of the links in this post may be affiliate links which means a portion of your purchase will go to support this site. First of all we should probably tackle stains. That is the main reason we need carpet cleaning tips and tricks right? I found a few posts with some solutions that most people would have around their home. You should definitely give these a try first. Just a note that you should always test any method on an inconspicuous area before using on the stain. Just click on any of the links in the list below and blast those stains! A few products that I have purchased that have worked really well are below. I am listing them in the order with the best solutions at the top. As you can see, for the most part I love the Bissell line of products. No this is not sponsored. That is just what I have found that works in our home. Another issue that those of us with carpet face is deodorizing. I thought I would also include some links for homemade deodorizers. Give one or more of these a try! I personally think these work just as well as the store bought versions and they are often a fraction of the price. That is a win win! If you are struggling with carpet cleaning, I hope a few of these ideas will give your efforts a boost. I would definitely give the homemade solutions a try first but if those do not work move onto the store bought powerhouses. You can get those stains out and have cleaner carpet! Trust me! I have used the Spotbot to get out stains that were years old! They will come out! 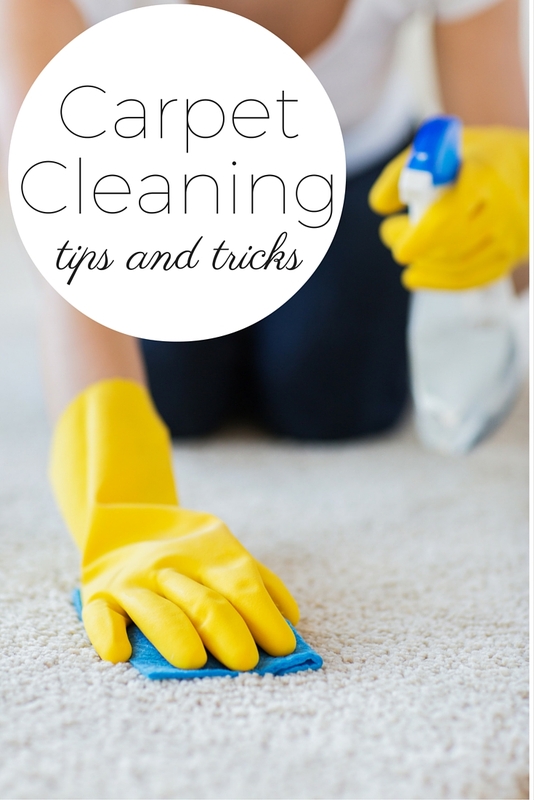 Wow these are some really great tips for cleaning your carpets. Thanks bunches for sharing them with us. As soon as we get carpet again I will have these tips in my arsenal . Carpet cleaning is pretty high on my ‘chores I don’t like to do’ list, I won’t deny it. But these tips sound like they can take some of the hassle out of it! Thanks for sharing. Great post! 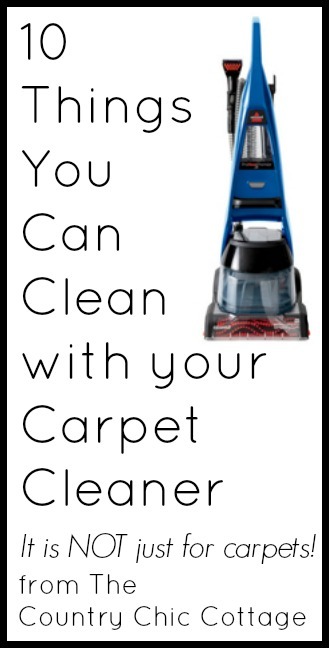 I agree, carpet cleaning is one of those chores that is so easy to overlook. Love your tips; especially the stain removal ones! Thanks for sharing! Use Hydrogen Peroxide. This home-based solution will eliminate stubborn stains with ease. Simply add a few drops directly to the stain using your fingers. Ensure that you dry the stain with a piece of cloth before and after you apply the solution. Thank you for sharing the things that work for you! I prefer homemade deodorizers, and it’s better to use those than the one that are being sold. In the long run, carpet professionals recommend that you stay away from those since they only harm your carpet. I really need a steam cleaner for my home. It’s so much easier than trying to scrub out all of the set-in stains, and some are impossible to get out without these machines. Thanks for the guide! Thanks for the tip to test a cleaning method for a stain on an inconspicuous area before using it on the stain itself. My son got a hold of red Kool-Aid and got stains all around the house, so I’ve been trying to find the best way to take care of it. Perhaps I’ll look into professional carpet cleaning as an option. Really useful advice. Although I prefer to use the services of cleaning companies, but this is a useful article. It’s impressive and incredible to clean stains of the carpets with homemade DIY cleaners. I have never imagined this. Thanks Angie for this great useful information. I heard that shaving cream can also use as cleaning solution for your carpet! BTW, I liked this article a lot. Keep it up! Always test any spotting treatment in an inconspicuous area.